I was formerly an area leader of the Joseph Church. In 1998, at a co-worker meeting, a senior area leader warned me in particular, “Brother Fu, the situations of the churches in your area are rather messy, so you have to work harder. Now the preachers of Almighty God are very aggressive and grow very fast in number. And their so-called little scroll is quite deceitful. You must guard the flock properly and not let any of them be taken captive. If you neglect your duty, you will have no crown.” From then on, I began to wantonly close all the churches in my area to outsiders. I said to the brothers and sisters, “Those who believe in Almighty God have departed from the Bible. Any belief apart from the Bible is heresy or cult. So, all of you, never come into contact with the believers in Almighty God, much less receive them. They are as dangerous as poisonous hooks. Once you contact them, you will become swollen and sore all over, and no doctor can cure you. If they read you their so-called little scroll, shut your ears to them. Once you listen to them, you will be bewitched, unable to escape no matter how you try….” In this way, I regarded the believers in Almighty God as enemies, did my utmost to resist Almighty God’s new work, and bound the brothers and sisters tightly in my hands. 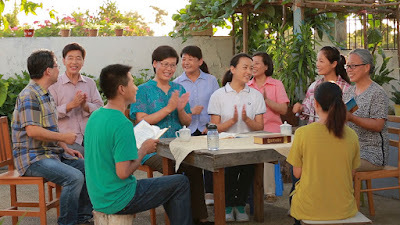 One day in April 1999, a sister secretly told me, “Brother Zhang in our church is in contact with some believers in Almighty God.” At this, I immediately came to the worker in charge of the meeting places in that church and said to him, “I’ve heard that Brother Zhang in your church is in contact with some believers in Almighty God. Look into it. Warn him not to get close to the believers in Almighty God, because they have ‘evil spirits’ in them. You must keep a strict eye upon him lest he be taken captive.” Three days later, I went to that worker in charge of the meeting places again because I still felt uneasy about it. He told me, “Brother Zhang has stopped going with those people.” At this, my anxious heart was relieved, and I thought that the Lord had cared for and kept that church. Not long afterward, another sister told me that her younger brother had accepted Almighty God and asked her to listen to the message. I said to her, “Don’t go to listen. You must stand firmly on your ground. Apart from our Joseph Church, there is no true way. Only the house of Joseph is most blessed. Genesis 49:25-26 says: ‘…the Almighty, who blesses you with blessings of the heavens above, blessings of the deep that lies below, blessings of the breast and womb. … Let all these rest on the head of Joseph….’ If you go astray, your many years of believing in God will be in vain.” Urged by me, the sister had no more contact with her brother. Thereafter, I resisted the end-time work of Almighty God more and more fiercely. Many believers in Almighty God had been ruthlessly driven away by me when they came to preach the gospel to the brothers and sisters in our churches. 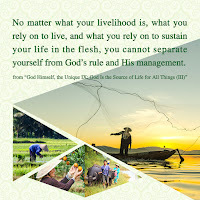 Later, through continually eating and drinking God’s word, I gained some knowledge of the three stages of God’s work and came to understand this: “The three stages are closely linked together and are all indispensable works of God’s saving mankind. If Jehovah had not issued the law to lead mankind in the Age of the Law, they would have lived in sin forever. If the Lord Jesus had not been crucified to bear people’s sins in the Age of the Grace, all would have died under the law. If Almighty God did not express the truth to purify people today, they would never be freed from sin but could only fall into punishment. 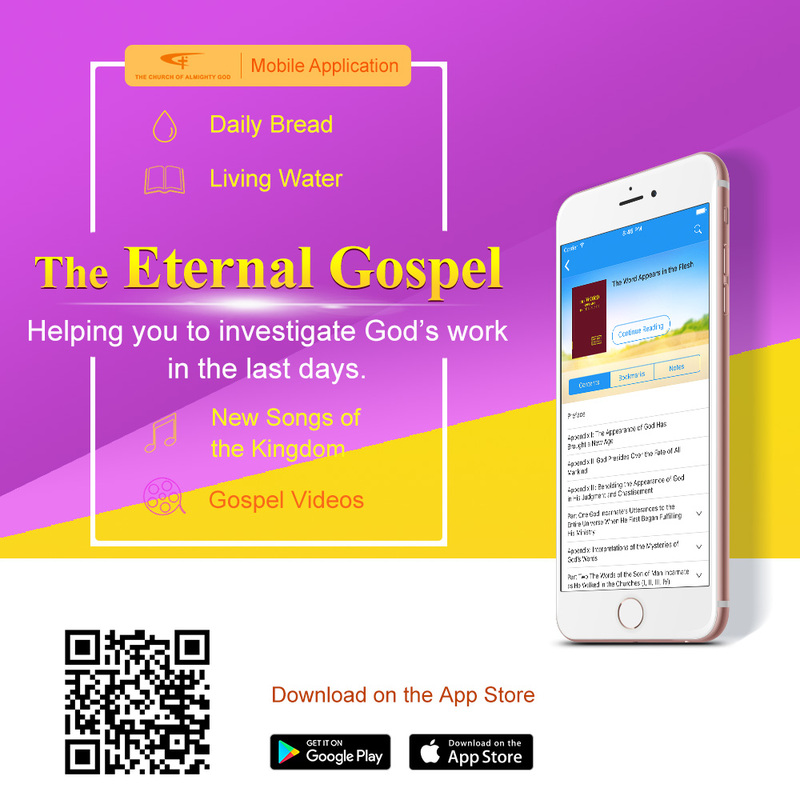 Only God’s end-time work can thoroughly save people, and only God Godself can bring the truth to people, bestow the life upon people, and show the way to people. However, the founder of the Joseph Church is merely a human. He can only teach us the letters of the Bible, but he cannot bring a new way to us, much less bring the truth to us. He cannot do God’s work at all. In the past, I was so blind and foolish that I echoed what others said, blindly condemned and resisted God’s work without seeking and investigating it, and fabricated many rumors along with my leader. In order to preserve my position, I cheated many brothers and sisters, spoke many blasphemous words against Almighty God, and slandered the little scroll that God had opened…. It is due to Almighty God’s tolerance and grace that I, a dying person, have personally heard and read the word expressed by him; otherwise, I would have died without knowing why.” At the time, I felt extremely remorseful. I hated myself for my yesterday’s disobedience and resistance, and even more deeply regretted that I was unable to repay God’s love because of my paralysis. Dear brothers and sisters, I hope that my personal experience can supply a reference for your investigating God’s work of the last days. Hope that you wake up soon! Almighty God is indeed the last Christ, the returned Savior Jesus we have been awaiting for a long time. Today, God is earnestly expecting us to return to his family as soon as possible. With a heart that has been deeply grieved by us, he is still waiting for us to turn back. Dear brothers and sisters, come back!